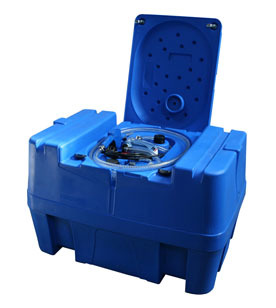 This 440 litre mobile Adblue dispenser comes standard with a lockable lid. You can choose between either a 12v, 24v or 230v Adblue dispenser. Both 440 litre Adblue dispensers are standard with automatic nozzles and a flowmeter. 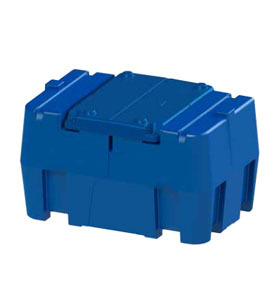 Each 440 litre Adblue dispenser is manufactured with high quality Polyethylene plastic. You can dispense Adblue on the move with this Adblue dispenser, perfect for agricultural and commercial use.